Freshpints.com: Double Mountain Brewery & Taproom Introduce The Newest Addition To Their Year-Round Craft Beers: Hop Lion IPA. 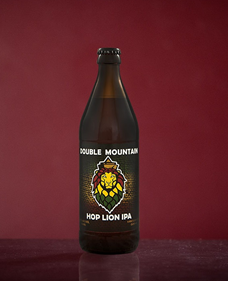 Double Mountain Brewery & Taproom Introduce The Newest Addition To Their Year-Round Craft Beers: Hop Lion IPA. 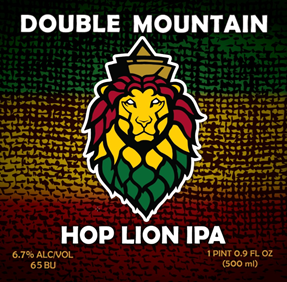 Hood River, OR - May, 2017 – Double Mountain Brewery & Taproom is proud to introduce the newest addition to their year-round craft beers: Hop Lion IPA. Currently available on draft and in bottles at the downtown Hood River Taproom and SE Portland Taproom in the Woodstock neighborhood. Hop Lion can be found throughout the Northwest and British Columbia, in early June. Description: Tropic resin, tangerine, evergreen, and the earthy scent of Northwest petrichor leap from the nose of this proud IPA. Tangelo and fresh bread stalk closely behind, finishing with orange and dank pine. Local artist ITES provided the vibe for the original Hop Lion artwork.